In 2006, 22-year-old Stanley Andrisse sat in a Missouri courtroom awaiting sentencing facing 20 years for his third drug conviction. Just one week prior, he celebrated his college graduation, yet there he was in a courtroom being called a “career criminal” with no hope for change. But change did happen – a transformative one. 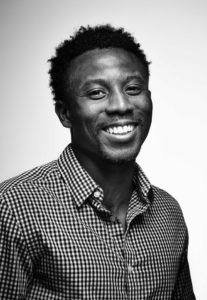 Today, Dr. Stanley Andrisse is a tenure-track Assistant Professor at Howard College of Medicine and an Adjunct Assistant Professor at Johns Hopkins University, where he previously conducted research on type 2 diabetes and polycystic ovarian syndrome, the leading cause of female infertility. He is also a published author, advocate, and the executive director of From Prison Cells to PhD—a nonprofit organization that mentors disadvantaged youth and formerly incarcerated individuals by providing weekly tutoring, mentoring and executive coaching to further their education. (In fact, 7 out of 7 scholars from the first cohort were recently admitted to college.) In addition to these accomplishments, he was recently chosen to become JustLeadership USA’s Leading with Conviction Fellow, through which he will join the organization to cut the prison population by half by 2030. While incarcerated in a Missouri state prison, Andrisse was placed in a drug treatment program that significantly reduced the time on his 10 year sentence. After his release, he immediately started looking into graduate school as a way to better his life. But it was not easy gaining admission to school with a criminal conviction. Many schools require potential students to disclose whether they have a criminal record, which can be factored into admissions decisions. Andrisse said he would not have been able to pursue his education had it not been for a former college professor who personally vouched for him. 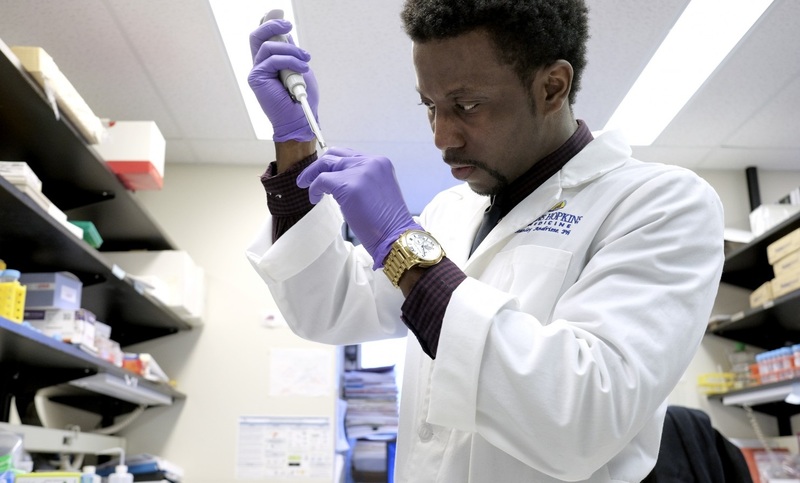 Against all odds, Andrisse was accepted at Saint Louis University where he simultaneously earned a PhD in Physiology and a MBA. He graduated two years early and at top of his class. “Education for me has been the biggest balancer to offset my criminal convictions. Education broadens horizons, tears down fences, and leads to career building. It has helped me build my personal and professional support network,” he told The St. Louis American. Understanding the impact that education can have on one’s life, Andrisse wants to expand educational opportunities to others who have been affected by incarceration. He has been actively working on “Ban the Box” campaigns to persuade colleges and universities to remove from their application the check box that asks applicants to disclose whether they have a criminal record. The same box that almost prevented Andrisse from getting into graduate school. By removing this question, applicants have a better chance of being judged fairly for their academic qualifications and intellectual curiosity rather than a conviction from their past. In the spring of 2017, Andrisse testified before the Maryland legislature in support of the Maryland Fair Access to Education Act of 2017, which bans the box on college applications for schools that receive state funding. Despite the overwhelming support the bill had from both the House and Senate and the Maryland Association of Independent Colleges and Universities, Governor Larry Hogan vetoed the bill. Andrisse says he is determined to continue fighting for ban the box policies in order to help change the life trajectory of justice-involved individuals. Since the veto, Dr. Andrisse has worked tirelessly to advocate for the passage of the bill and in January 2018, the Maryland legislature finally overrode Governor Hogan’s veto.This makes Maryland the second state in the nation to ban the box on college applications. Dr. Stanley Andrisse is not the same person who sat in the courtroom years ago. Today, he is a contributing member of society whose medical research is saving lives and whose advocacy work continues to inspire those who have been impacted by the criminal justice system.